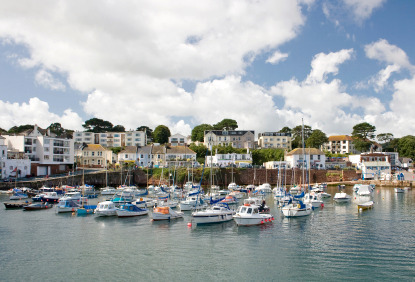 The three towns of Torquay, Paignton and Brixham on the South coast of Devon facing Tor Bay are often referred to as the "English Riviera", although geared more toward the low-budget holidaymakers nowadays. The three towns have converged into each other and now form the unitary authority of Torbay (pop. 131,000). 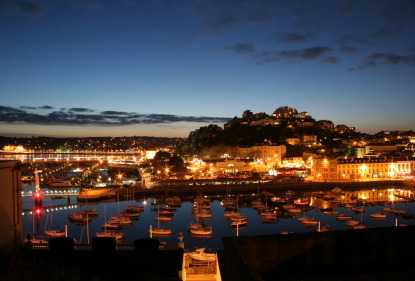 Torquay is famous for being the birthplace of Agatha Christie (1890-1976). Both the Torquay Museum (otherwise devoted to natural history and archaeology), and 800-year old Torre Abbey (housing the largest art gallery in Devon) have exhibits related to the the crime novelist. Paignton has a popular sea-front filled with bars and clubs. Paignton beach and the nearby Preston Sands are the best places in Torbay to practice water sports such as windsurfing and dinghy sailing. However, the most famous attraction in the town still remains Paignton Zoo. 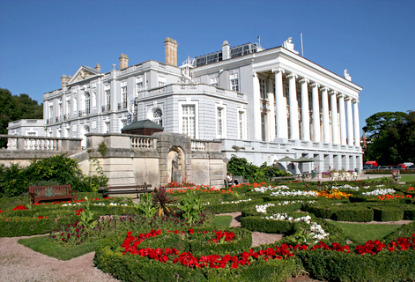 Also in Paignton, the grand 19th-century classical Oldway Mansion was the home of the Isaac Singer (1811-1875), the founder of the Singer Sewing Machine Company. The attractive Brixham (pop. 16,000), built on hilly grounds, was the country's busiest fishing port in the 19th century. It is also the place where the fishing trawler was invented. 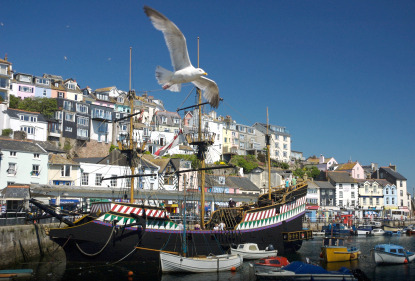 Brixham is best remembered in history as the port where William III of Orange and his Dutch army landed on 5 November 1688. during the Glorious Revolution, in which King James II was deposed without bloodshed in favour of his Protestant nephew and son-in-law. Anchored in Brixham Harbour is a replica of the Golden Hind, one of the five ships with which Sir Francis Drake accomplished the feat of circumnavigating the globe between 1577 and 1580. Also of interest is the Brixham Heritage Museum, which has various artefacts related to the town's history. There is a train station in both Torquay and Paignton. Most trains require a change at Newton Abbot (10min, £2.70), on the Exter-Plymouth line. National Express buses connect Torquay/Paignton to London (5h20min to 6h, £21), Exeter (50min to 1h20min, £5.25), Plymouth (1h, £7.50), Truro (2h40min, £13.50) and Penzance (3h50min, £15). Express bus X46 runs to and from Exeter in 1h (£4.50).